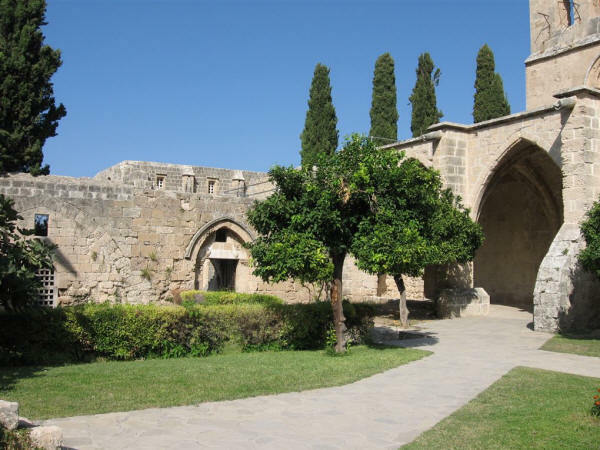 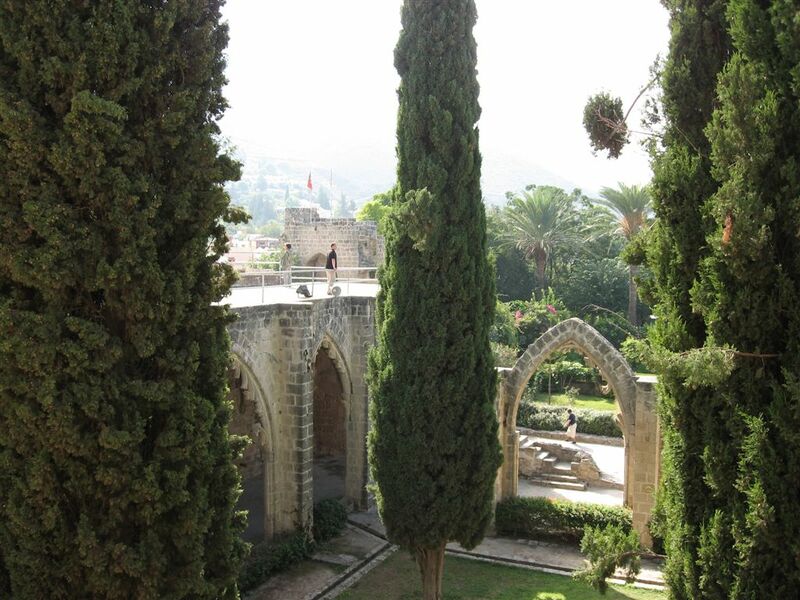 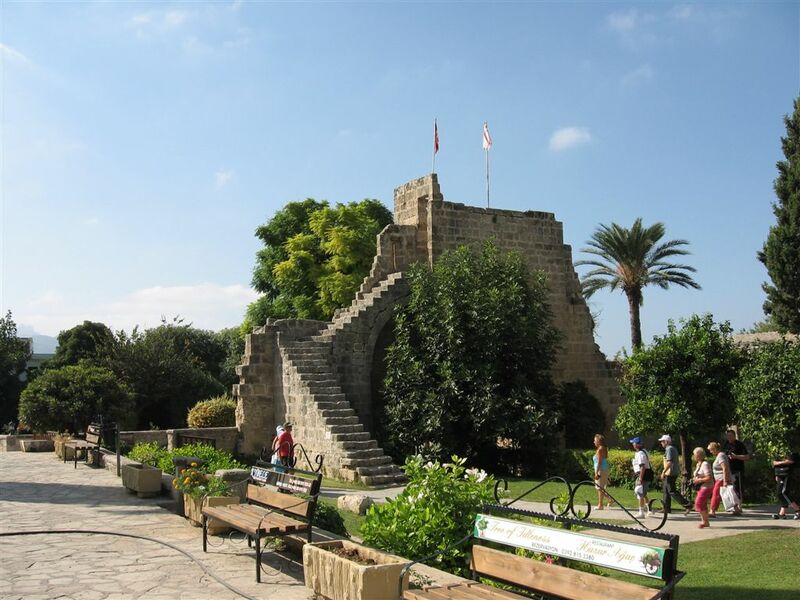 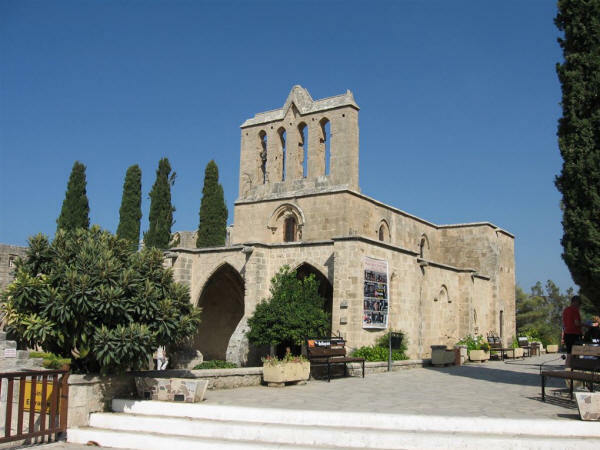 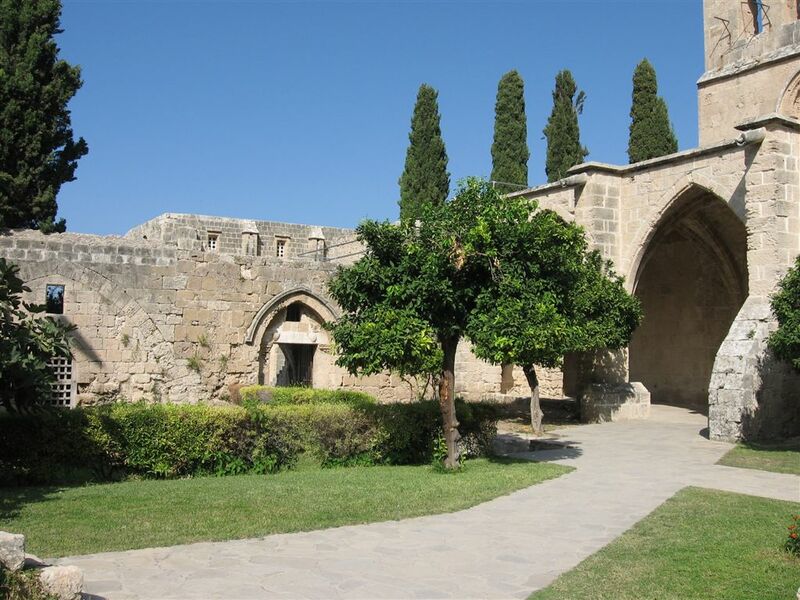 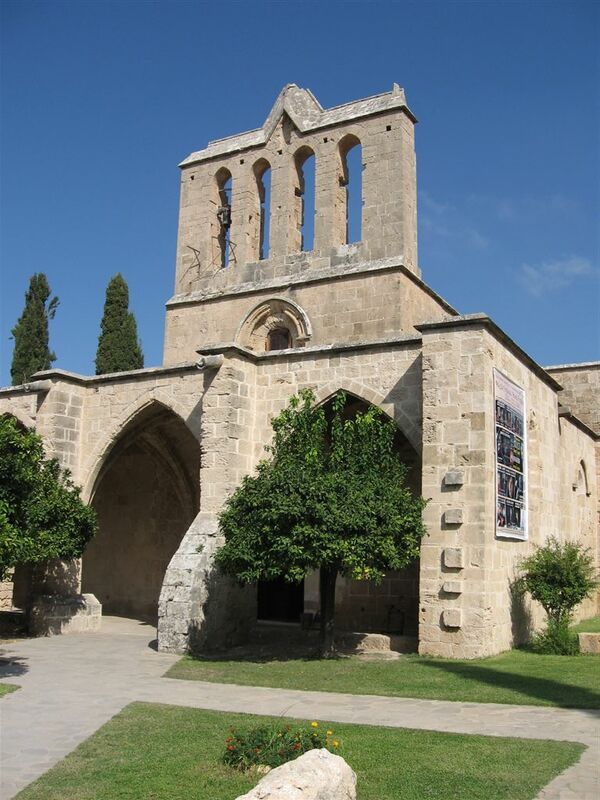 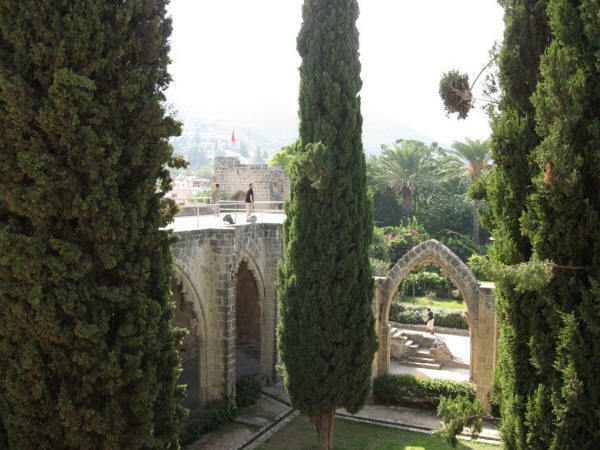 This twelfth-century monastery is located near the north coast of Cyprus, to the south-east of Kyrenia (Girne), set on the side of a mountain. It was originally occupied by a French brotherhood, the Order of Premontre, and was known to them as the "Abbaye de la Paix", from where the word Bellapais derives. 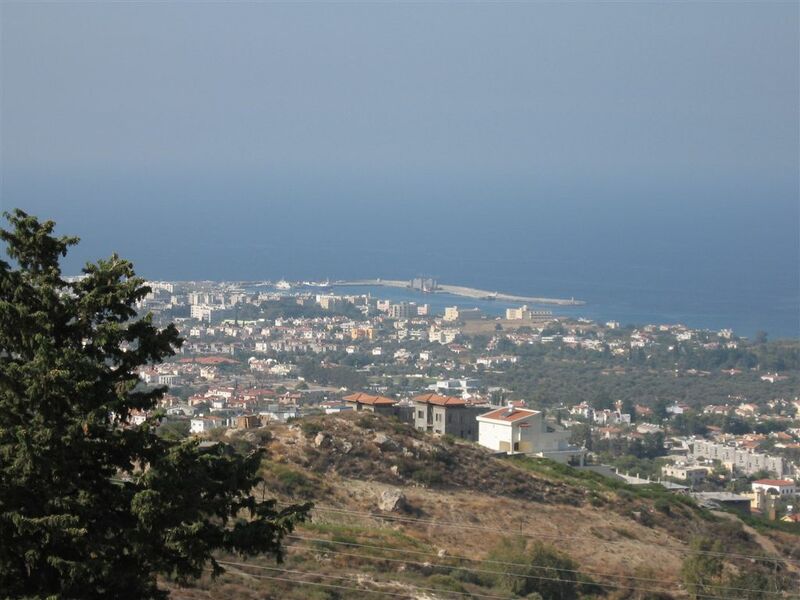 Looking from Bellapais to the harbour at Kyrenia.